what a rip off can’t even enter my activation code . WIN $14,000.00 A WEEK FOR LIFE MAX PCH UPGRADE PRIZE FOR FAMILY AND THE ST JUDE CHILDRENS HOSPITAL ON APRIL 26TH!!! PCH I JOSE LUIS ALEGRIA WANT TO GET INTO THE WIN AND ENTERING CLAIM OWNERSHIP TO MY UNIQUE PRIZE NUMBER IN MY NAME JOSE LUIS TO CLAIM AND WIN THIS SUPERPRIZE ON FEB.27 FROM PCH GWY NO 11OOO FOREVER AND ACTIVATE MY FORTHCOMING UNIQUE PRIZE NUMBER IN MY NAME JOSE LUIS TO CLAIM AND WIN THIS SUPERPRIZE FROM THIS NOTICE AND ENTERING CLAIM OWNERSHIP TO MY UNIQUE PRIZE NUMBER IN MY NAME JOSE LUIS TO CLAIM AND WIN THIS SUPERPRIZE GWY NO 13000.VIP TICKETS TO THE PCH LAST WINNER SELECTION PLEASE REGISTER MY UNIQUE PRIZE NUMBER IN MY NAME JOSE LUIS TO CLAIM AND WIN THIS SUPERPRIZE ON APRIL 26TH SPECIAL EARLY LOOK EVENT FROM PCH GWY NO 11OOO FOREVER PRIZE PLUS GWY NO 18000 CASH PRIZE ENTRY GWY AND GWY NO 11OOO FOREVER PRIZE CASH PRIZE ENTRY GWY. I WANT TOGET IN WIN FOREVER , FOR LIFE, AND GET IN TO WIN TO WIN IT ALL. TRYING TO MAKE MY DREAMS TO COME TRUE FOR MY ALEGRIA FAMILY, PLEASE GANT ME JOSE LUIS ALEGRIA ACCEPT FINAL STEP TRANSFER OF A WINNER FOLLOWED BY THOSE PAYMENTS CONTINUING FOR LIFETIME OF SOMEONE THE WINNER CHOOSES TO WIN AND CLAIM OWNERSHIP IF JOSE LUIS PRIZE NUMBERS MATCHES I WIN. Let’s do it Thanks VIP ELITES REWARDS MEMBER, JOSE LUIS ALEGRIA, PHX,AZ. I’M READY YEA! PCH. PCH (Todd Sloane) SWORN STATEMENT PCH in reviewing all my papers from you and it is noted that I returned my Official Entry with Final Claim Label on March 14,2019 by mail. I’m hoping it was received. If not, hopefully this will suffice. I,Mariann Shepherd, hereby swear and state that T would like to WIN $7.000.00 A WEEK for LIFE. GWY.13000 I, Mariann Shepherd, am also claiming My Prize Number if selected during the SPECIAL EARLY LOOK. With hopes it is the Winning Number. Fingers Crossed. I have been playing and yes I would love to Win . 7000.00 a week for life. I have not received my number to enter. Please send me . Can’t enter my code. Website won’t take it when I tap on the box. 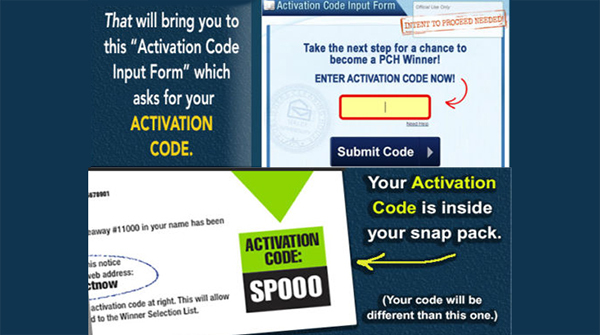 Activation code SP782. In too win love your games been sick in hospital just got back full time on my game’s God Bless the winner hope it is me. Called number in. Yes Deborah Holland and Michael Collins I Debra Patterson Claim 3times Entries PCH-1 W-50 WK-30 W-29 W-24 to WIN Win Gwy Numbers#11000,#11002,#11936,#10074,. #12755, #10078 on February 28 Special Early Access to WIN Lucky charms Bigger Bucks Check Champagne and Balloons on March 31,2019. Thank you God bless with love DP in Texas CCLake. pch search & win UPGRADE ACTIVATION Claiming UPGRADE $7,000. 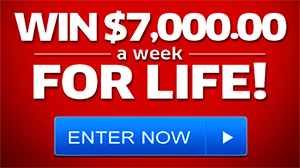 a WEEK for LIFE to $8,000. 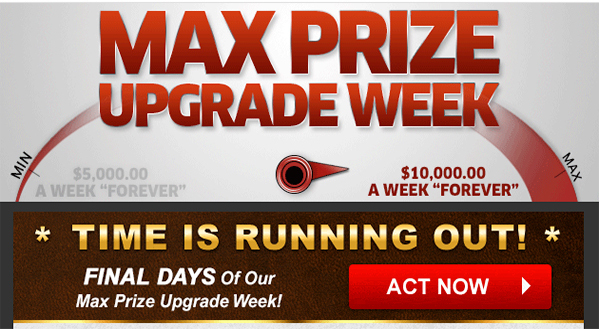 a WEEK for LIFE from PRIZE UPGRADE ACTIVATION NOTICE # 12-07. Search 2 PCHsearch&win VIP/ELITE Extra Reward Official Communication Claiming the possibility of winning $3,000,000.00 if one of three entries from this notice wins from PCH. No.13000. PCH SEARCH & WIN VIP/ELITE Declaration of Entitlement CLAIMING FULL ENTITLEMENT & ELIGIBILITY to go for the UPGRADED $8,000.00 WEEKLY FOR THE REST OF MY LIFE on April,26,2019. I Betty N claim the up grade of$8,000.00 a week for life PCH GWY#13000,I would love to win!!!! Entered code but it didn’t go info page after–went directly to $7000/week page. Yes I Want to WIN it on February 28 Special Early Access, Gwy 11000,10074,10078,3080. Yes Indeed I Debra Patterson Claim Gwy 11000,18000 for an upgrade to WIN $8,000.00 A Week Forlife 13000,13001 on March 31 or April 23.please I absolutely Want to WIN this Huge Lucky Check Forever. #7600, 7667. thank you God bless. With love DP in Texas CCLake. pRIZE NUMBER ALERT VIP/ELITE Claiming $8000. a week LIFE PRIZE UPGRADE. Claiing Prize Number Ownership for a Prize Number on the Winner Selection List. Should I win from this notice I would receive the UPGRADED PRIZE $8000. a WEEK FOR LIFE, an additional $1,000. each and every week. Hello Deborah Holland and Michael Collins and Prize Patrol Elite team, It’s Me Debra Patterson and I just want to wish you a happy Day. I am In it to Win it. Still thinking positive. With love DP in Texas CCLake. PCH VIP/ELITE I am claimingVIP/ELITE status that has earned me 4 entries to win a VIP EXCLUSIVE $500,000. PCH OFFICIALS VIP/ELITE Claiming UPGRADE to S8,000. weekly for the rest of my Life. Claiming a VALID PRIZE and FULL ELIGIBILITY to WIN. ROY APPEL CLAIMS TO WIN $8,000.00 A WEEK FOR LIFE! Yes I received my new coat through the mail. hoping that it will help me become a Publishing Clearing House superprize winner, been hoping to see a dream come true. Yes Deborah Holland and Michael Collins I Debra Patterson Claim Gwy Numbers Gwy 8800,11000 for 2times Entries for the Ford F-150 Gwy 10074, and $1,000,000.00 $1,000.00 A Week Forever , upgrade to WIN $7,000.00 A Week Forlife Gwy 11000,18000 on March 31st,2019. I am Claiming Soul Ownership to WIN this Huge Windfall. I Debra Patterson would love to WIN it on April 23,2019. Thank you God bless. With love DP in Texas CCLake. Im PCH participant since 2009, if I win, ooh my god. My kids education and my life will change. The code filled. I hope I do win. Where do I enter the Activation Code??? 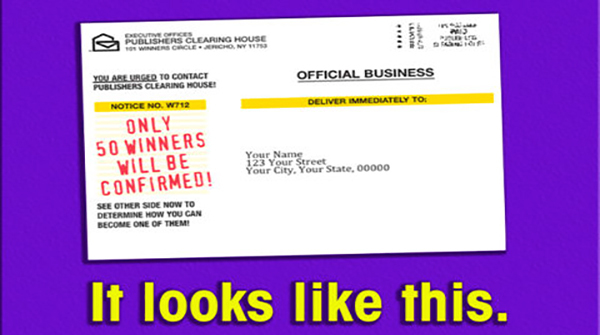 Yes Deborah Holland and Prize Patrol Elite team, I Debra Patterson Claim Gwy Numbers: 11000,4900, 8800. For The Nationwide Search for the$ 2Million plus $5,000.00 A Week Forever Gwy 11000 on February 25,2019 , and I also want to Claim Gwy Numbers :. 13195 kindel fire HDx7 Tablet. Gwy12990 Ford Explorer Sport,. Gift Cards : #13042,#13043,#13187,#13023,#13020,#13192,#13199,#13189,#13027, Weekend Getaway#13120. Apple iPad Air 16GB #13180, Cannon Rebel SLR Camera #13193, Samsung Galaxy Tab3′ #13117. I am Claiming Sole Ownership of My Forever Gwy Numbers. Please Except and Activate my Final Step Document W-24 WK-30 PCH-50 W-34 W-30 W-11 W-29 and PCH-1, W-37,PW382. I would love to WIN it All or at least the Money. Thank you God bless and Happy New year to all of you. With love DP in Texas. 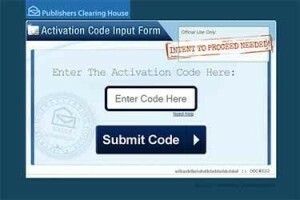 I got the activation code but it would not let me input it. Playing games again, I guess. I have entered a number of years and times but this one I claim in the name of Jesus. I hope this is for REAL. Since 1987, I was expecting to win something back then, but had nothing at all and told myself, this is a scam. When I started receiving your letter again, I thought maybe this time it’s for real. I PRAYED : God please make it real. UPGRADE $7,000.00 A WEEK ” FOREVER”! I trying tomorrow. I hope this is o.k. $1,OOO.OO A WEEK FOR LIFE. A new car coming.